Unsplit the Vote is a network of activists dedicated to promoting evaluative voting methods that reduce vote splitting and all its negative consequences, including spoiled elections, lack of candidate diversity, voter apathy, negative campaigning, excess campaign spending, low turnout, and societal polarization and bitterness. UTV offers solutions everywhere and in all sectors—social, commercial, and political—wherever group decision-making happens. We envision a world where good voting methods seem as natural as bad voting methods do today. Unsplit the Vote is non-partisan and, to the extent possible, non-ideological. While the community may take an interest in and even reach a consensus on various aspects of the group decision-making process, UTV focuses on voting methods. To maintain focus on its mission, UTV avoids unrelated issues, especially divisive issues that would cost it support and reduce the chances of success. UTV does not discriminate, not least because it aims to expand the movement: the greater our diversity, the greater our reach. However, those who publicly espouse violence or bigotry are not welcome. Unsplit the Vote is a (currently) unincorporated nonprofit organization structured as a swarm—an activist network with an inverted hierarchy. Leadership exists to serve the needs of activists, who are free to pursue the mission as they see fit while observing the few basic principles. You can think of a swarm as an open-source movement. As with open-source software, the founders establish the fundamental mission and rules, and then participants contribute according to their own priorities. The organization is not a democracy, but neither is it an authoritarian hierarchy. No one may direct anyone, and collaboration is voluntary. Action is valued over talk, but participants neither act nor speak in the name of the swarm. Participants are always free to “fork the code” and start a new organization. Organizational and leadership values are based on Rick Falkvinge’s Swarmwise (available online and for download) and some principles of open-source software. In summary, we value initiative and responsibility, collaboration and constructiveness. We create new or improve existing resources, and we share them back with the community. We recognize that everyone participates voluntarily, so we do what we can to make the swarm a place where people want to work. Honeybees are the only other animals known to vote among candidates. They express their opinion of a candidate by waggle-dancing: the overall length of the dance corresponds to the assessment of the candidate’s quality. They vote on a new nest site, as described in the fascinating book Honeybee Democracy, by Prof. Thomas Seeley. 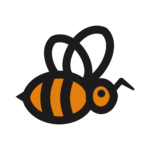 Honeybees vote using an evaluative method that resembles the one used by the Webby Awards. When nature agrees with us on the solution to a problem, we know that there is something to it. The honeybee is a voting bee, but “bee” as in “spelling bee” or “quilting bee” means “gathering”, with no etymological connection to the insect. Honeybees are the quintessential cooperating swarm animal, and Unsplit the Vote is organized on the swarm model. Honeybees are vegan and non-aggressive matriarchies, and personify the virtues of industriousness and cooperation. More cooperation means more honey and a prosperous hive.